The CBI FIR has accused AirAsia India, its officials as well as AirAsia Berhad, of trying to manipulate government policies through corrupt means in order to bag an international licence for the domestic airline. About two weeks after the CBI raided the office of Tata Trusts' overall head R Venkataramanan, a combined meeting of the trustees of the Tata Trusts was held on Thursday to discuss the issues arising from the investigations being carried out by the ED and the CBI in a bribery case against AirAsia India. Slamming reports in media, the trust said its office was not raided but visited as part the ongoing investigation related to AirAsia India. Tata Sons Limited owns 49 per cent stake in Air Asia India Limited, while the rest is held by Malaysia-based airline AirAsia Berhad. On May 29, the CBI filed an FIR accusing AirAsia India, its officials as well as AirAsia Berhad, of trying to manipulate government policies through corrupt means in order to bag an international licence for the domestic airline. 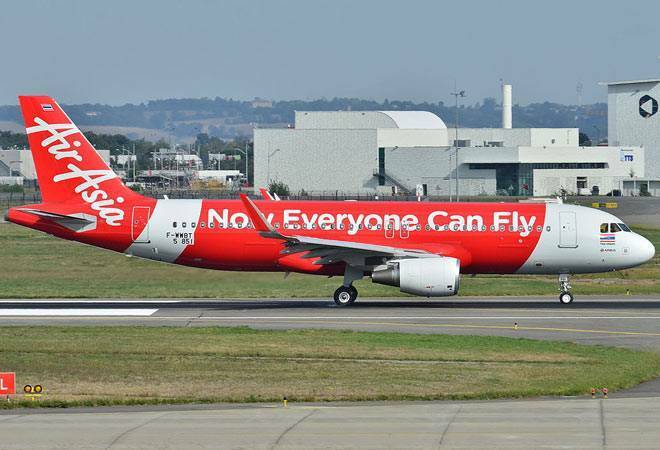 The FIR named Group CEO of AirAsia Tony Fernandes, Tharumalingam Kanagalingam, former Deputy Group CEO of Malaysia-based AirAsia Berhad, Venkataramanan, among several others. Meanwhile, the trustees categorically reiterated that the ongoing investigations have nothing whatsoever to do with the affairs of any of the Tata Trusts, and said documents relating to the trusts were neither seen nor called for by the investigators. In a statement, Tata Trusts clarified the office of Venkataramanan, in his capacity as a Non-Executive Director and a nominee of Tata Sons on the Board of AirAsia India was visited by the authorities, not raided as reported by a section of media. The trust said the agency sought clarifications on some papers relating to Air Asia India, some of which were seized. Expressing concern that "inaccurate and mischievous" reports were carried by some media entities to give an impression the Tata Trusts' offices were raided, the trustees reaffirmed their continued support to Venkataramanan. The accused allegedly bribed government officials to secure the international flying permit for AirAsia India at a time when the 5/20 rule was in place, which mandated airlines to have five years of experience as well as a minimum 20 aircraft-fleet to be eligible to fly on international routes. In 2016, this rule was partially eased as part of the new aviation policy, paving way for domestic airlines to fly overseas provided they deploy 20 planes or 20 per cent of their total capacity for domestic operations with no limit on years in operation. The eased norms benefited AirAsia India and Vistara, both partly owned by the Tata Group.